Start Here Weekly Schedule Activities Calendar Membership Contact Virtual tour! Not sure about a monthly commitment? Try one of our trial packs! 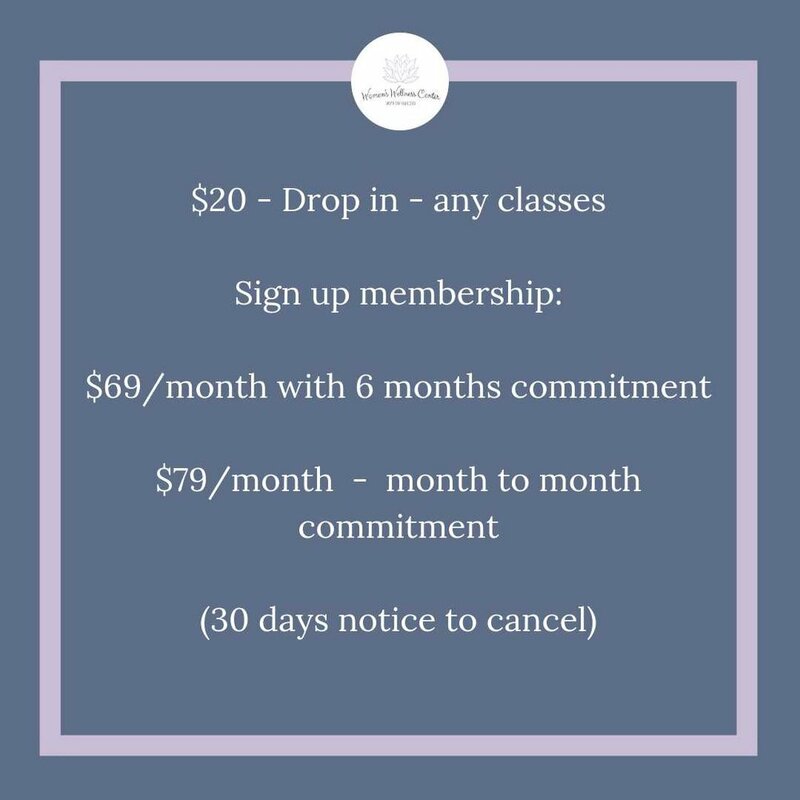 Membership at the Women’s Wellness Center includes full access to all classes during the week.